Beautiful, eye-catching bracelet and earrings in dark hematite color with silver details. 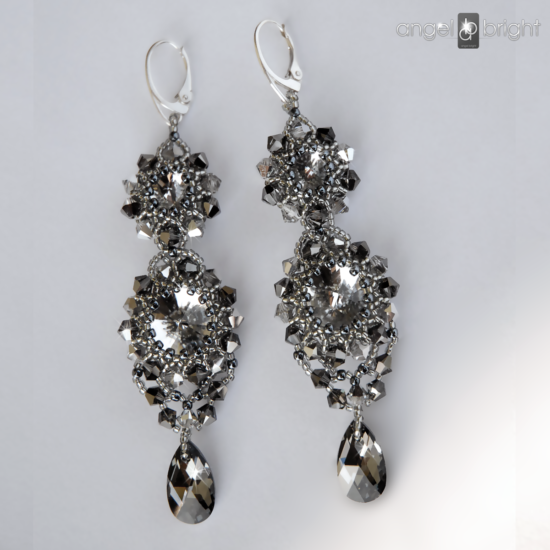 Carefully braided with Chech crystals and tiny glass beads. Bracelet: Metalic Chech beads in dark graphite color with silver details, TOHO beads in hematite. Earrings: Onyx stone – in oval shape, Chech crystal beads and TOHO beads in shiny metallic hematite; clips made of sterling silver. The earrings on both sides look the same, and the clip is carefully integrated into the beads lace. For alternative to clips, we offer earwires to choose from: open earwires, closed English and studs with hanging earrings. on open or closed English earwires. Please let us know in a message during purchasing the product. FREE service! Onyx Stone – Deepens the sense of control over life, bestows such features as: determination, perseverance, courage and decisiveness. It gives strength to people who are exposed to extreme stress – emotional and mental, it is also helpful in making decisions. Onyx Stone brings balance to the body and mind while providing mental power. It is considered the stone that brings spiritual inspiration and clarity of mind – Onyx helps calm emotions and makes it easier to control them. 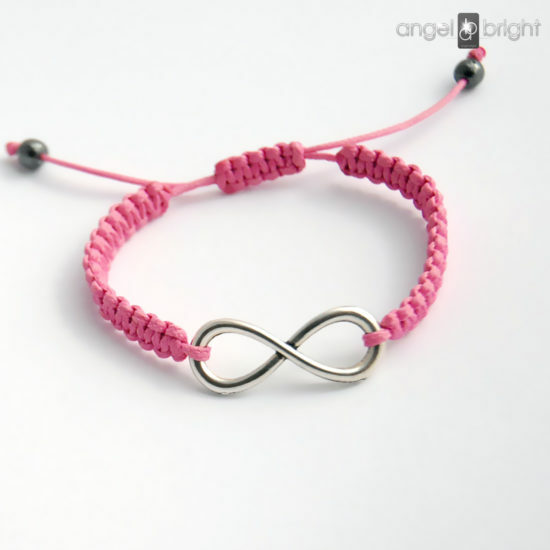 The bracelet is elastic so that when applied, it adapts to the wrist and allows you to wear it freely.